Recently we received the following error message when accessing Citrix Presentation Server on a few client machines which had had large wide screen monitor upgrades. The application that had been started would also not enter full screen mode. Video mode restricted by administrator. 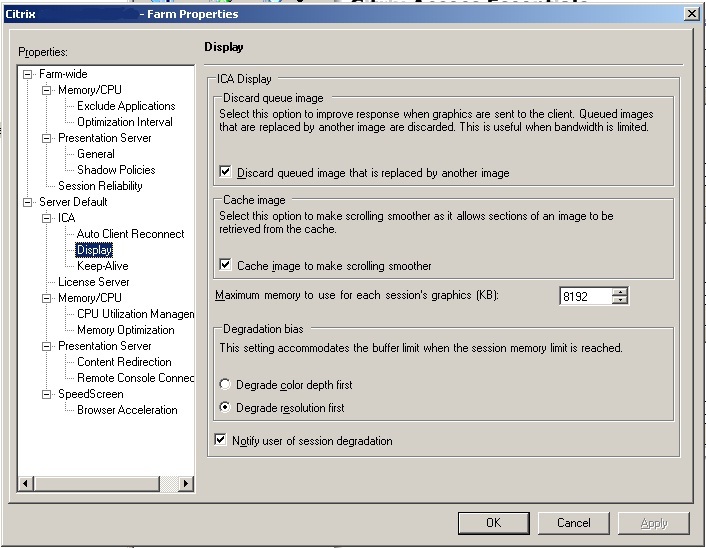 After increasing the memory available for each sessions graphics, you should find that Citrix is able to support the higher resolutions OK.
works for me.. Good article. But in my case its showing HDX Broadcast instead of ICA and its already on 8192.